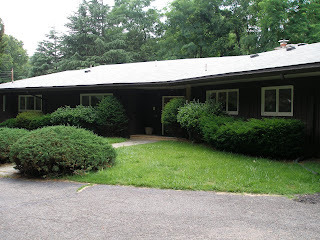 This 5/3 (with 3 half baths) rambler on 1 acre is located in Dunlop Hills in Chevy Chase, Md. The listing says the house also has an in-law suite or office area. The large house is on a nice lot, but it does sit right off busy East-West Highway. The listing has no interior pictures.